The retirement of David Koch from Koch Industries will make it easier to see more clearly what has been true from the start: Charles and David Koch, who came to be known as “the Koch brothers,” were equals in bloodlines and in wealth, but Charles has always been the brains behind the brothers’ vast corporate and political operations. 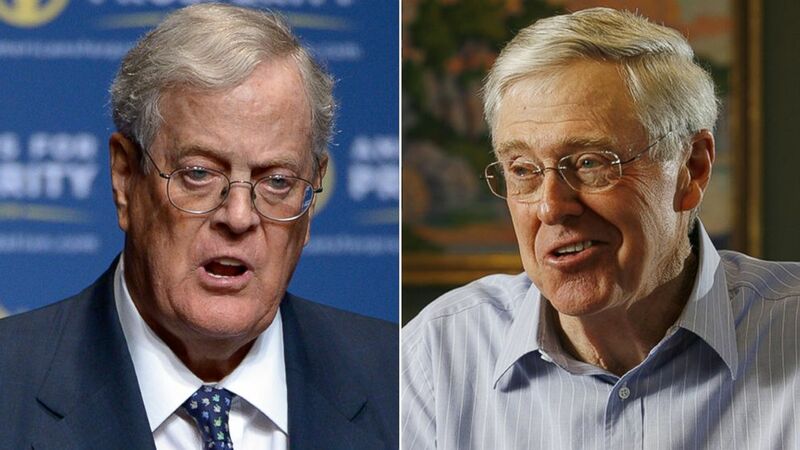 Those who know the brothers well predict that David’s retirement will have scant impact, particularly in the political realm, where the Kochs exert enormous influence. Beginning in the late nineteen-seventies, the brothers became the primary underwriters of hard-line libertarianism in the country. From the start, though, Charles was the instigator behind their political activism while remaining largely behind the scenes. This dynamic was evident as far back as 1980, when Charles convinced his younger brother David to run for Vice-President on the Libertarian Party ticket. The brothers regarded Ronald Reagan, who was running for President that year, as too liberal. The Libertarian platform called for abolishing all federal income taxes and virtually every federal agency, including the I.R.S., the F.B.I., the C.I.A., the F.E.C., the E.P.A., the F.D.A., and the S.E.C. The party also opposed Medicaid, Medicare, Social Security, public education, and minimum-wage and child-labor laws. But she fails to inform that the hard-line libertarian Charles Koch, at that time, was being influenced by Murray Rothbard. Calling for the"abolishing [of] federal income taxes and virtually every federal agency, including the I.R.S., the F.B.I., the C.I.A., the F.E.C., the E.P.A., the F.D.A., and the S.E.C" and opposing "Medicaid, Medicare, Social Security, public education, and minimum-wage and child-labor laws," in one fell swoop is pure Murray. It's a shame Charles and Murray split and that Charles moved away from serious. hard-line libertarianism. In an important way, Murray was the remarkable one-man engine of the libertarian movement. To think what might have been if Charles had stayed an ally. By the way Mayer is completely wrong about the 1980 LP Platform on taxes and more so about the way that issue was handled by the Clark/Koch ticket. Along with Rothbard, I was on the platform committee, and it handled the tax issue to the satisfaction of all, market liberals and anarchos alike. https://lpedia.org/1980_National_Platform#2._Taxation The campaign itself simply called for an immediate tax cut about three times greater than the Kemp-Roth plan of the time, with no implication that such would be the end of cuts. Recall that in 1980 the highest marginal tax rate on so-called unearned income was at 70% and on wages, 50%. What will the beltway libertarians do now? They might have to get real jobs.